From a slew of negative reviews on Yelp and Facebook to a Fox anchor calling on chief curator Nancy Spector to resign, the backlash to revelations that the Guggenheim offered the Trumps a gold toilet is many-pronged. 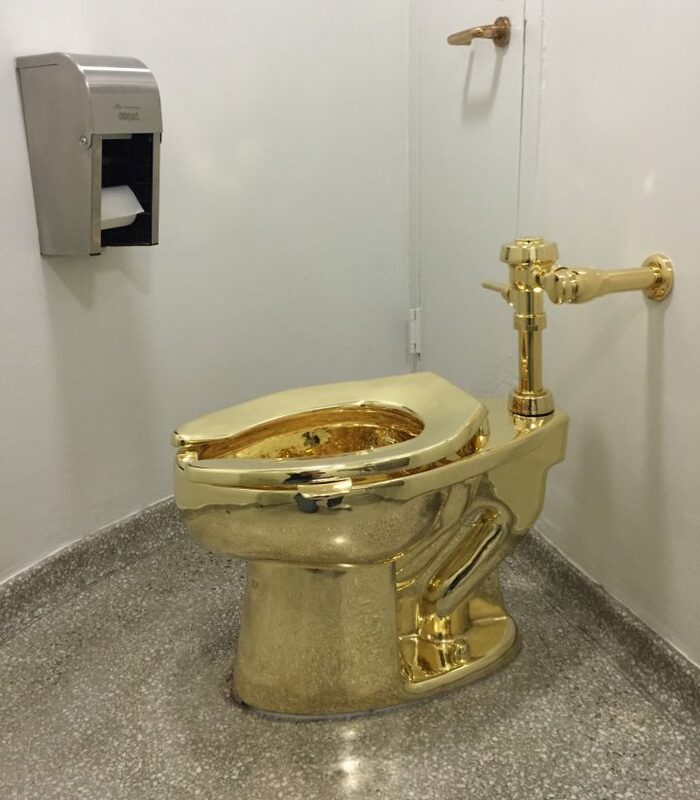 Last week, the Guggenheim Museum in New York City abruptly entered the political fray when a Washington Post report revealed that when approached by the Trump White House about borrowing a Vincent van Gogh work, the institution’s chief curator Nancy Spector instead offered up “America,” Maurizio Cattelan’s gold toilet. The backlash came swiftly, in the form of a wave of negative reviews of the museum on social media — including Yelp and Facebook — and a fiery segment from Fox Business Network anchor Stuart Varney. A spokesperson from the Guggenheim reached by Hyperallergic declined to comment on Varney’s segment or the other responses to Spector’s exchange with the White House Office of the Curator.